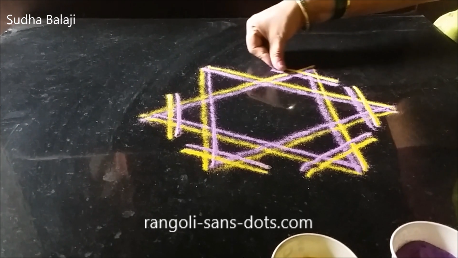 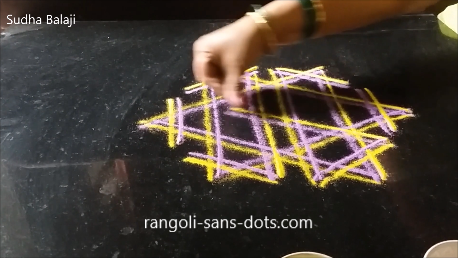 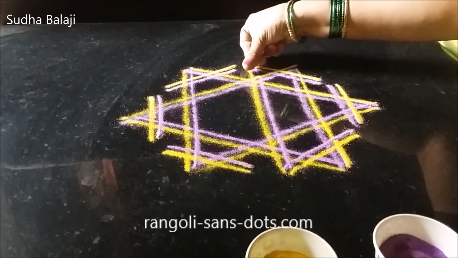 Drawing double line kolam where the lines are distinctly visible comes with practice. 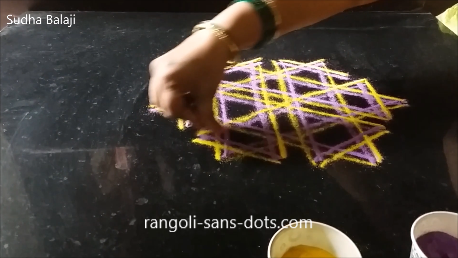 Drawing two lines of different colours simultaneously without the colours overlapping and smudging needs lots of concentration and confidence and these come with practice. 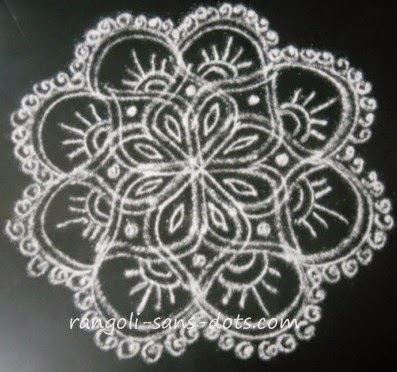 So I have placed this kolam in the category of a difficult kolam . 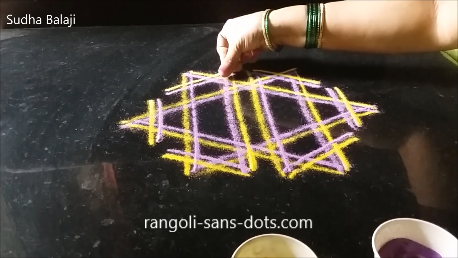 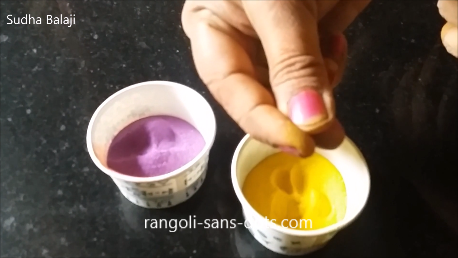 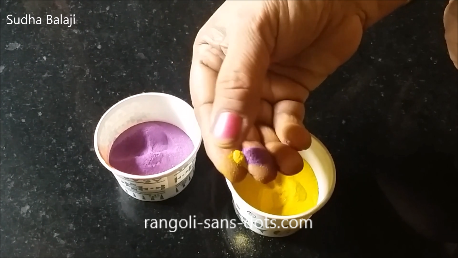 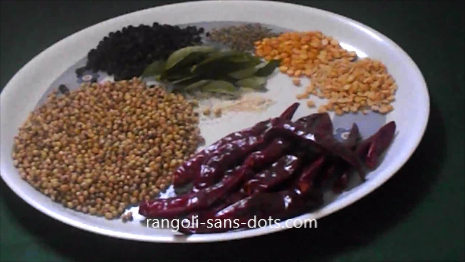 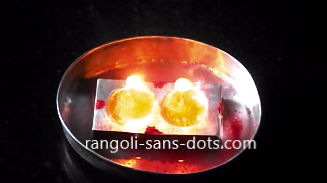 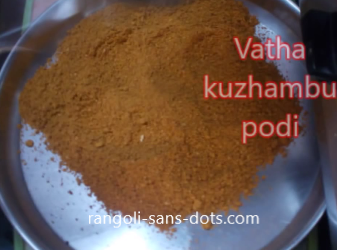 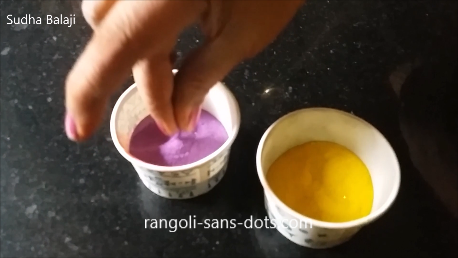 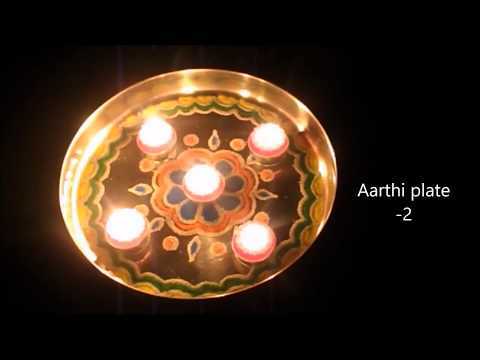 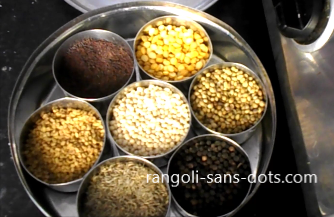 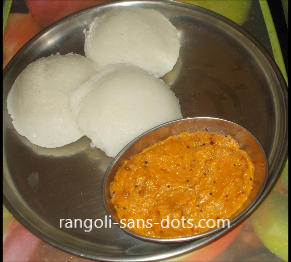 These challenging kolam can be drawn before the golu for Navrathri . 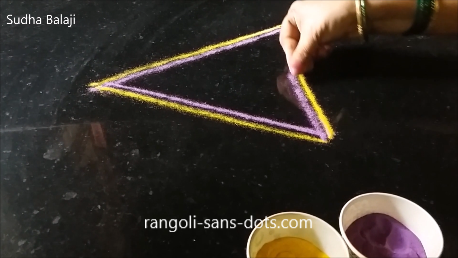 Draw the triangle. 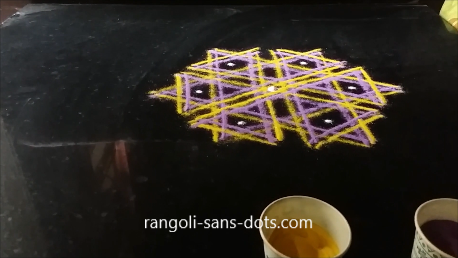 Draw with confidence then we will get it perfectly. 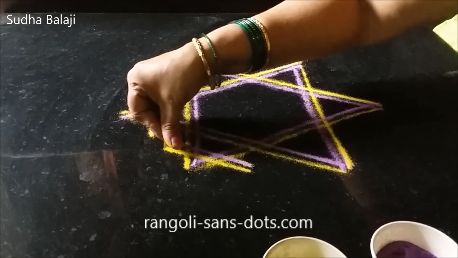 Star is drawn with two inverted triangles. 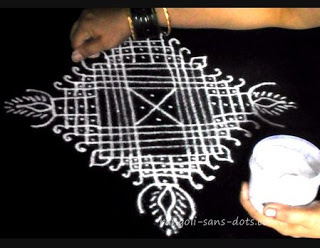 This star kolam also is a difficult design though small we need loads of concentration . 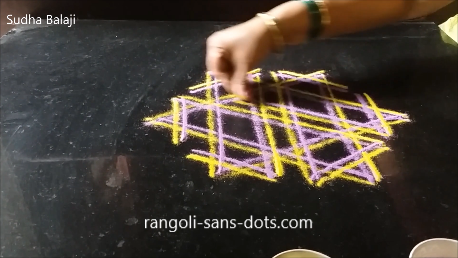 No wonder some say that drawing kolams is like meditation. 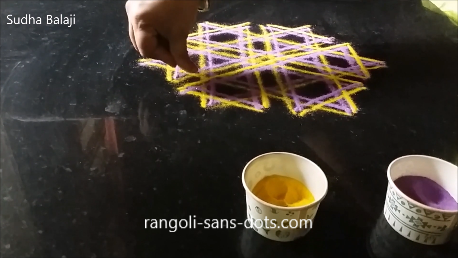 After drawing the star and the six lines near the six edges connecting the lines with more lines as shown in the steps is tricky and we are likely to miss occasionally. 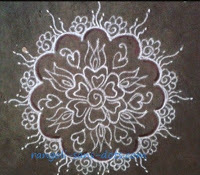 So this design drawn with double line , double colour may be categorised as a very difficult kolam design.